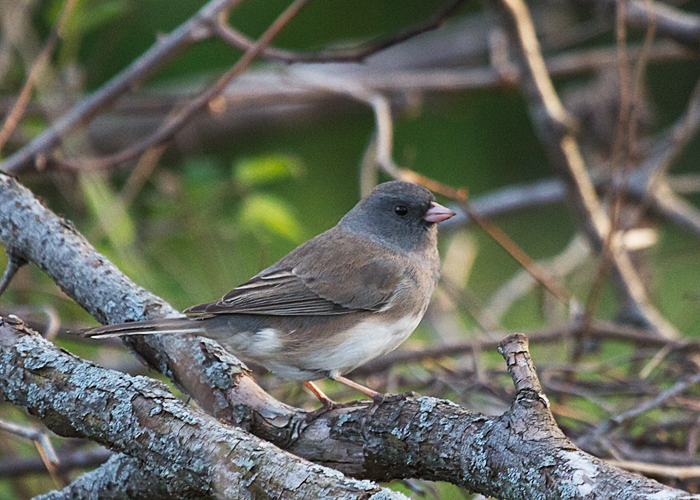 Dark-eyed juncos were trilling in the wood pile this morning. I loved hearing them, but in a week, or ten days at the most, they'll be gone, pulled north by the irresistible tide of spring. Somewhere in Canada they'll line a nest in a pocket-sized nook in a rockface, hidden behind grasses or ferns. Maybe I'll see their young here in Iowa next winter. Many people are barely aware of the dozens of species of sparrows native to North America. This DVD shows them all, including dark-eyed juncos, in color and in action, singing their songs. If there are a few sparrows that you've never quite mastered, because you seldom see them, this 2-DVD set will help you to know them like you know your own best friends. Beautiful work!